Type the URL of your UDrupal site in the browser's address bar (e.g., http://drupal-dev.nss.udel.edu/your_site_name). and replace your_site_name with your site's name. 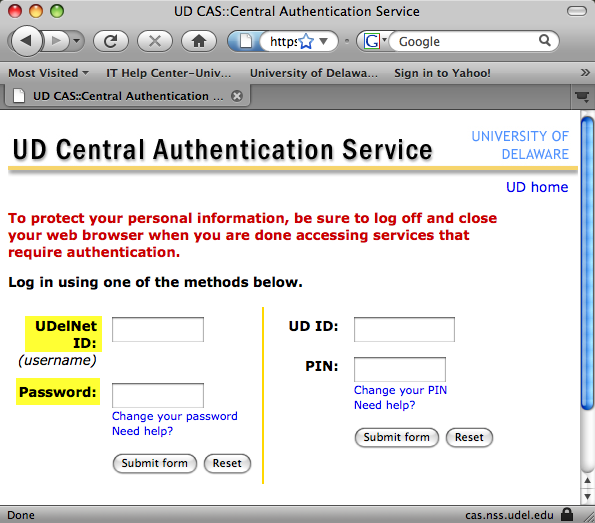 In the UDelNet ID (username) text box, type your UDelNet ID. If you are not directed to the CAS Login screen in step 4, this is an indication that your site is NOT registered to use the Central Authentication Service (CAS). Please follow these instructions to register your site.